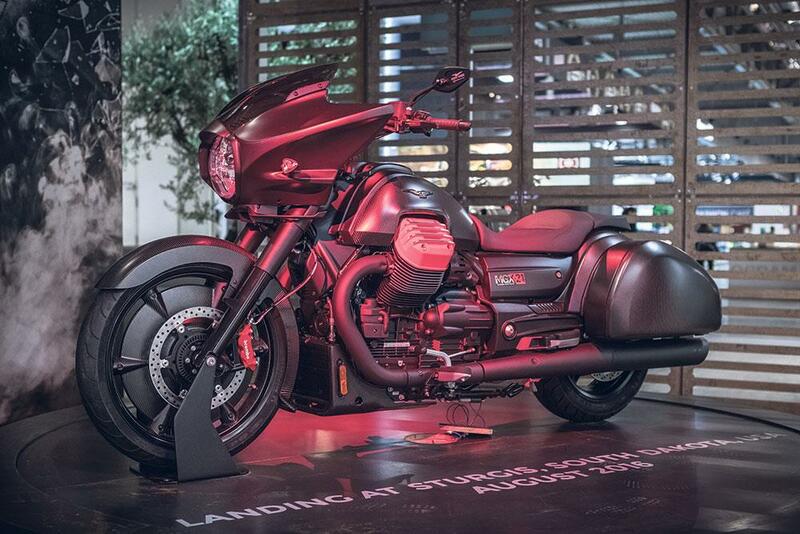 A year ago Moto Guzzi revealed the crazy MGX-21 Concept bagger and very few believed that the production bike would bear anything more than a passing resemblance to it. 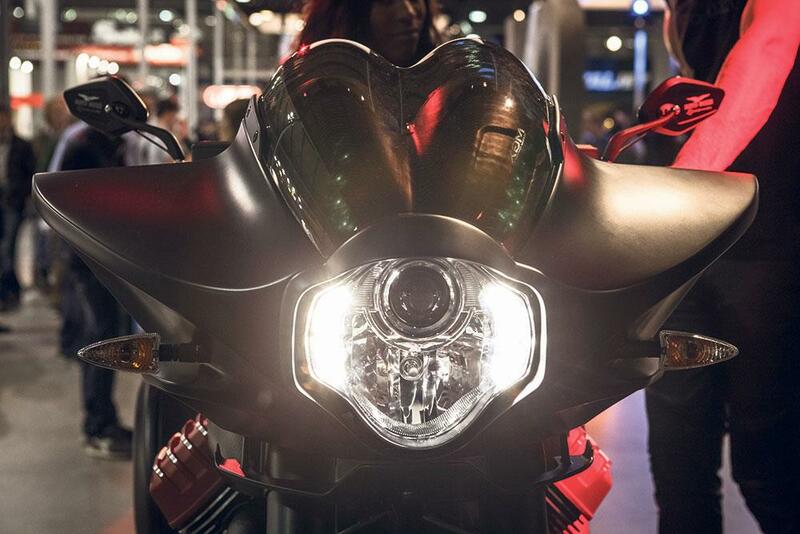 But fast forward 12 months and Moto Guzzi last week revealed a bike that is identical in almost all regards to the carbon-clad concept creation from designer Miguel Galluzzi, the man who penned the original Ducati Monster in 1993. Called the MGX-21 Flying Fortress, the bike is aimed squarely at the massive potential of the bagger market in the USA, and as such much of the design work was carried out at parent company Piaggio’s American design house in California. The styling of the bike is an unlikely winning combination of Italian and American flavours, all based around the California’s 1380cc 90-degree V-twin, chassis, shaft drive and basic running gear, but featuring a monstrous 21in front wheel. Moto Guzzi claim they’ve worked very hard on chassis set-up to ensure the California’s excellent handling attributes have been maintained. Carbon-fibre parts include the mudguard, fuel tank side panels and even the engine case covers, and all of that is added to with the fitment of the low-slung and hard-mounted bagger panniers. Rider aids include ABS, traction control, adjustable riding modes and cruise control.